MALAYSIA opened its first fashion wholesale shopping centre, Kenanga Wholesale City (KWC) in Jalan Hang Tuah recently. The nine-storey building has over 800 retail shops that has everything that comes under the fashion umbrella for women, men and children, ranging from footwear to bags. There are even retail outlets dedicated to Islamic fashion in a bid to provide a selection of traditional and contemporary apparel for Muslims. 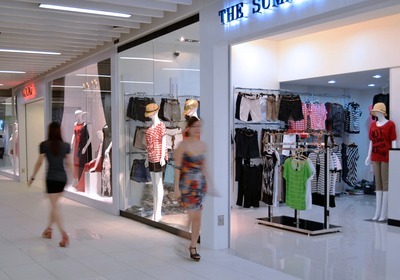 Upscale shopping: The interior of KWC is bright and airy. KWC Sdn Bhd managing director Bernard Bong said the company aimed to debunk the common belief that wholesale shopping was often done in a crowded and substandard environment. “KWC promises a wholesale shopping experience in a five-star environment,” he said. Great deals will be available throughout the year and customers who buy in bulk will get better discounts. KWC also features a halal and a non-halal food court with a wide selection of food. The current operating hours are from 10am to 8pm.